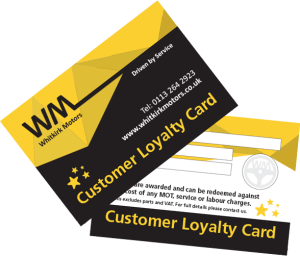 At Whitkirk Motors we believe in rewarding our loyal customers, that’s why we have a loyalty scheme in place that rewards YOU. For every £1 you spend in the garage we’ll reward you with points that you can redeem against the cost of any MOT, Service or labour charges in the future. There’re no strings attached, it really is as simple as it sounds!